I thought I'd share another recipe with you guys since I made a salad today whichever as so delicious! 1. For the dressing, mix together the mayonnaise, grated parmesan, lemon juice and garlic (if used). The dressing should be a yoghurt consistency, but if it's too thick, stir in a tbsp of water. 3. 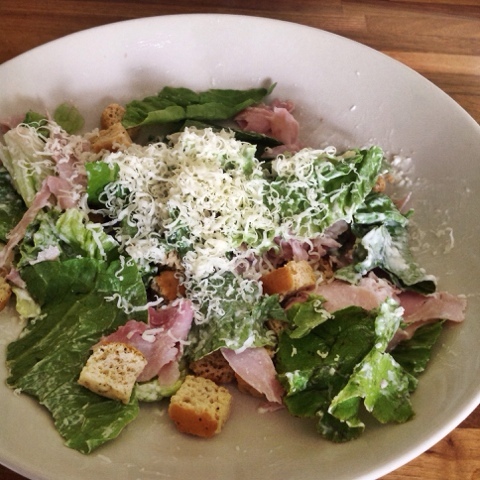 Mix the dressing in with the salad, then add the remaining ham and croutons. 4. Sprinkle grated parmesan on top and serve straight away!